On Monday evening I am discussing how a negative company culture can affect your ability to get things done, discussing lean and Kanban techniques to visualise and improve the value and meaning of what you do, helping you turn your organisation something that you really enjoy waking up in the morning to go to. Free sign up at SkillsMatter. Tuesday night is a preview of the up coming JAXLondon conference in April, with well respected speakers talking on event driven architectures and Spring framework 3.1. There are still few free tickets left for the preview, so sign up soon. Tattershall Castle is a great place for an event, its actually a boat moored on Victoria Embankment. Next week is a fascinating talk on ScalaZ by Rustem Suniev, an active member of several London user groups. In the talk, Rustem will cover the main functional concepts as well as their practical application, including examples of how ScalaZ can be put into practice. If you want to try out some functional programming for yourself, the London Clojure group has just announced the March Clojure coding dojo. This event always fills up, so if you are ready to try out some Clojure then sign up soon. If you haven’t looked at Clojure yet, I’ve been putting together a site to help get you started with Clojure. If you missed the concurrency talk we ran at PlayFish last time, we are running the talk again at SkillsMatter on 24th March. As we had around 130 people signed up last time, we are expecting the re-run of this talk to fill up quite quickly. The London Clojure coding dojo was a little more sophisticated last week, with Robert Rees and Bruce Durling laying on some lovely sandwiches and quiche as a healthy change from pizza. Again the dojo was split into groups and we worked on building interconnecting dungeons. I really got a sense of understanding the functional programming approach and wrote some Clojure tests and code. It was very satisfying and has really helped start to ingrain Clojure coding skills. There were some interesting approaches at the show-n-tell session, with our group constructing very solid dungeons. I received my “I’m speaking at JAX badge” this week, I am really looking forward to talking about Clojure at JAX and seeing what questions and feedback I get. The rest of the JAX London conference looks great, for me its got a better line up than QCon, so I am very happy to be going. See you there for some excellent learning opportunities. I’m looking forward to another London Clojure coding dojo (now full), the last one was great fun and I will try and practice some more TDD/BDD in clojure this week. The format of the dojo has changed and makes it easier to get more involved. Rather than have two people at a time with everyone watching, everyone is now split into groups of four, having there own mini-dojo, with all groups working on the same project. There is a quick show-n-tell session at the end so the groups can show each other what they have done. It would seem that Oracle lawyers are worried about shipping JUnit with Netbeans and have advised the netbeans team to no longer ship JUnit with netbeans 7. If anyone knows what the problem is behind this then I am sure we’d be interested to hear. The netbeans team do have a very simple way of allowing you to add JUnit when you first run netbeans, so its not a big issue in my book (yet). There is an interesting TED talk on how architects have learnt to build complex structures by looking at nature. I think is an interesting talk that helps you understand the thought processes of architects and encourages you to think outside of the box. I hope you enjoy this talk at TEDSalon in London by Michael Pawlyn describes three habits of nature that could transform architecture and society: radical resource efficiency, closed loops, and drawing energy from the sun. There is a nice example of what to to with the Wandsworth Roundabout !! Tuesday was another very successful social night for the LJC (and GDC,LSug,LCg,LtdWIPSoc). 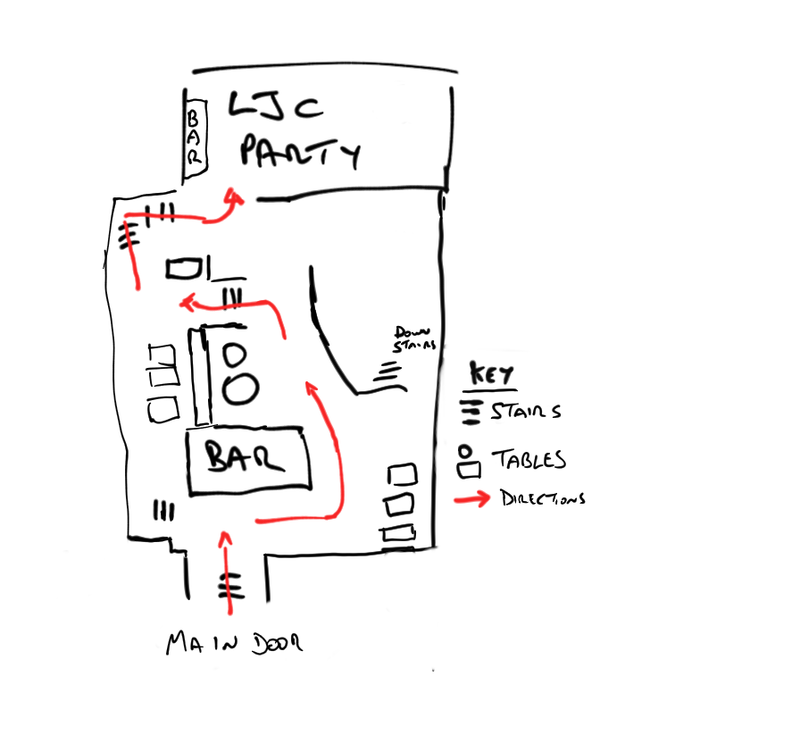 In case you missed the event, I did a quick write up of the night on the LJC blog. Great fun was had at the London Scala coding dojo last week. As with the Clojure and Python dojos, the scala dojo has also switched to running the dojo as groups. So once all the pizza was eaten we chose a problem for the evening and split up into groups. The problem chosen was the Roman Numberals calculator and there were some interesting approaches – as can be seen on the LSug Assembla online git repository. If you have write-ups of any events, please let the list know. Tuesday evening saw another great night out for the London Java community (and GDC, LSug, LCg, LtdWIPSoc). Thanks to Barry for arranging our own regular space at this very popular pub and thanks to everyone that came along to join in the fun. I ran a brainstorming session to get lots of event ideas for the next few months and we have a large number of events lined up now. The session lasted less than half an hour and we all got socialising with everyone else that turned up and started watching what we were doing! I had some great conversations last night, starting with a really interesting question about what best language to learn in the Java space. We talked about the Java language and how although it has not evolved much over the last few year, its the core Java that is of commercial interest (gets you a Job). Although knowing a functional language or having worked with NoSQL (eg. Hadoop) can help make you more interesting to employers – and help get you more interesting work. We also discussed what functional languages are worth learning. I suggested that Scala is the most commercially viable, partly because it is multi-paradigm and seems easier for developers to start getting to grips with. Also there has been a decent sized community growing around Scala, in London and world wide and many financial oriented companies (banks, trading, on-line gambling) are using Scala for its ability to process the same transaction effectively across large data sets. I also recommended learning Clojure and/or Haskell/Jaskell to help learn functional programming well, as those functional only languages drive you to think in functional concepts. My only concern with Scala was that is a mult-paradigm language, so its easy to drop down into Java like coding rather than making the most out of functional programming. We have our respective coding dojo’s soon – Scala this Thursday and Clojure next Tuesday. I also had a great talk about acceptance testing and how I have seen this grown in adoption, especially in the last year and a half. 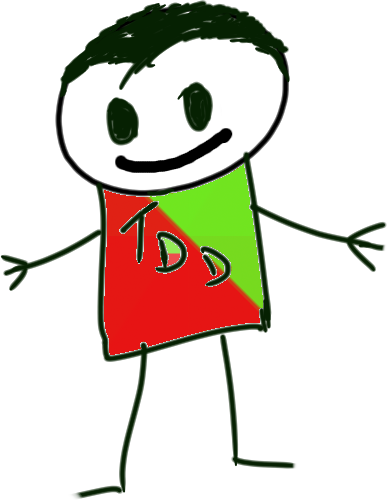 I expressed how I feel that acceptance testing provides many benefits in the overall software development process, helping you ensure that everyone has a clear and shared understanding, encourages roles to work very closely together, able to manage change effectively and helps developers know when they are really “done”. Acceptance tests can also alleviate some of the burden from testing, being automated it allows more exploratory testing to be carried out. Using an acceptance tests approach is just one of the reasons I like BDD. Finally we were talking in more detail about setting up a Java coding dojo and the various aspects we can include in that kind of event. There does seem to be a large appetite for learning and practising test driven development in the LJC and certainly within the GDC and at the code retreat last year many people are also interested in practising acceptance testing too. Setting up a dojo takes quite a bit of effort, so we’ll keep you posted as to when this is ready. ﻿I’m looking forward to next months social and hopefully meeting some more of our 1500+ members. I recommend watching another animated video from The RSA.org called Language as a window on human nature. A humorous, interesting and timely video giving insight on the aspects of human nature that may be driving the events in Egypt at the moment. The video covers three main relationship types and the veiled language we sometimes use and why we use it. Tuesday is social night for the LJC (including members from GDC,LSug,LCg,LtdWIPSoc), so I’m looking forward to meeting friends and making new ones. The porterhouse is a lovely pub with a great selection of beers and some really nice food. We have a large room at the back of the Porterhouse and there is a bit of a crystal maze to find it, so see the attached rough guide. There is always a great mix of people at the social event, giving you an opportunity to talk about a wide range of topics from core java, how to get a job, functional programming with Scala/Clojure/Haskell, agile and lean practices. As an icebreaker and default theme we are talking about diversity in the IT world. If this is your first time at the social, we have greeters to help you meet people and feel welcome. The GDC associates are also running a brainstorming session at the start of Tuesdays social to organise more events for the graduates on top of those already planned. If you want to have some direct input, then come along to the social at any time and see what we have come up with. 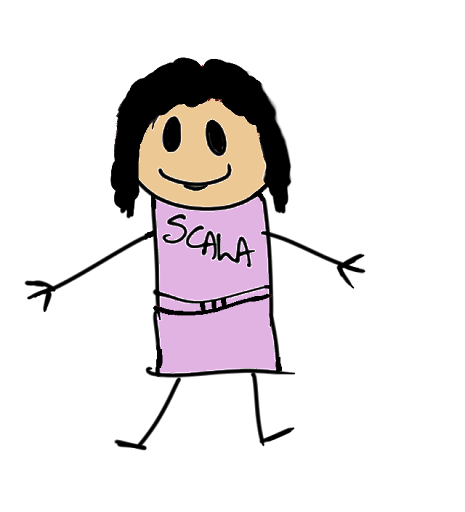 This Thursday is the London Scala user group coding dojo. This month we will be splitting into groups of 4 and working on a new problem. If you have not come the Scala dojo (or have been away for a while) its a good opportunity to join in. Free pizza and beer is kindly provided by Thoughtworks. Since there are so many startups now in London, its not surprising that the Lean Startup group has become very popular. There is a great talk coming up by Benjamin Mitchell on March 1st. If you are involved in a startup or are thinking of setting up your own, this will be a very rewarding event. These talks fill up pretty quick, so if you are really interested then sign up soon. My mugshot has been put up on the JAXLondon event site for my “Getting started with Clojure” talk. If you can prove to me you have viewed my bio, then I may buy you a pint at this weeks LJC social. Any constructive feedback is welcome. I ran a very enjoyable and educational kanban clinic last week and my thanks to everyone that came along. The evening was mainly spent around whiteboards and I divided the packed out room into three groups – beginners, intermediate and experienced. I walked through the basic kanban concepts with the beginners whilst the other two groups started to collaboratively design and enhance their own boards. I also presented my first iteration of “Subway as a Kanban”. There was a great mixture of roles in the room, including devs / testers / pm’s / hr / recruitment / etc so there were lots of interesting questions and ideas floating around. If you are interested in Kanban or are trying to improve the way you work, I have another session at the end of the month on how kanban can help change a “toxic cluture” in my talk titled Kanban Vs the MAFIA.At DevTank last week there was a talk on how to engage with the (technical) media from Mike Butcher at TechCrunch. It seems journalists are flooded with information on a daily basis and it requires a lot of work to build up a good relationship and send them the right information in a timely way. After eating from some very large pizza boxes and drinking some beer, thanks to sponsorship by Moo (who have some great business card designs), there was talk on Erlang. Erlang is another functional programming language that was developed by Ericsson and is still widely used in telecomms today. (who else is using Erlang..). The talk gave lots of useful info and tips on how (and why) to get started with Erlang….. Unfortunately I was away and missed “Learning Clojure the dojo way”, so if anyone has a write up, I am sure we’d be interested. Over the weekend of 4-6th February Martijn and I (Ben) attended FOSDEM 2011. For those of you who aren’t familiar with FOSDEM, it’s the annual Free and Open Source Software Developer’s European Meeting. This is a weekend-long free, open conference (no registration, no cost, just turn up and take part), which is held at the Free University in Brussels. This year, there were around 5000 developers attending the conference. Over 1500 people attended the Friday night beer event in the spacious Delerium cafe (close to the Grand Place). There were geeks and hackers of all kinds, and there were a huge number of communities represented – from the big names in F/OSS (e.g. Mozilla, Ubuntu, Red Hat, MySQL, Postgresql, etc) all the way through to tiny projects, hardware hacking, open telecoms – an enormous range of talent and projects. It was a fantastic weekend, and we can’t recommend it highly enough for developers who are interested in the Free / Open software world. Liking beer (or indeed wine) is also a big advantage :-). Martijn and I were primarily interested in the Free Java room (although we did attend some other talks as well). This housed talks by many of the great and good in the Java world – so we really recommend that you take advantage of this next year as you can get access to key technical players in the Java space for free! The keynote speech in the Java room was delivered by Mark Reinhold and Joe Darcy from Oracle who covered the state of the OpenJDK. They made it very clear that the number one priority for Oracle is to keep Java at number one. This talk quickly turned into a roomwide discussion on the proposed OpenJDK governance model, the JCP, TCK licensing and thoughts on the future of free and open Java in general. This is very definitely a period of “Interesting Times” for the Java world, and it does no good to ignore that. Some of the debate in the Java room was at times heated, and even bordering on acrimonious. However, there were certainly a lot of positives that came out of the weekend, e.g. helping to reduce the demonising of engineers that work for large companies and hopefully kickstarting a much wider community effort to produce a fair and reasonable governance model to drive Java forward. The wider Java community (and even Oracle) needs your help! Without your voice and the voices of your clients, Oracle, IBM et al are not able to see the negative impact that they could potentially be having on the Java ecosystem. So we encourage all of you to read the proposed governance – and Simon Phipps’ scorecard summarising the opposing view and then get productively get involved in the debate on the mailing list. Please note that some of the issues raised in the scorecard have been addressed and we hope to see a new draft and therefore a new scorecard soon. In addition to the governance talks, and some interesting analysis talks (including Stephen O’Grady’s talk “The Rise and Fall and Rise of Java“) we saw some amazing technical talks – from new JVM languages being used to illustrate new JDK 7 features, through to the latest thoughts on modularisation (including two great back-to-back talks on aspects of the new Project Jigsaw codebase). While FOSDEM is clearly an environment which cares about the more social and political aspects of software (how could it be otherwise? ), the technical level is both very high and very welcoming – both established personalities and very new developers were made to feel comfortable, and that their contributions were valued. As one final aside, on the second day we gave our “Free Java, reasons to be cheerful” talk with some heavy LJC branding – and have got some great feedback so far. We’re definitely going again next year – so if you’re interested, come and talk to one of us at one of the LJC events – it would be great to get a larger group together for a trip. Congratulations to the winners of our our January draw – Mani and Alex!